Raise your hand if you are 1000 times more comfortable speaking up in defense of someone else than defending yourself. It feels so much better to help someone else weather a storm of emotional abuse than to take care of yourself, right? You get to feel like a Jedi Knight! You are standing up for truth and justice, and being a good friend or relative. It’s a great feeling, right? Now, raise your hand if you’ve ever done that, only to have the other person turn to you and tell you to stop “white knighting” them, get angry with you for stepping in, or otherwise appear unappreciative of your efforts. But…but I’m trying to help! You may find yourself thinking, as confusion, anger, and embarrassment rush through you. I wish to God someone would defend me, but this person doesn’t seem to appreciate what I’m offering them by stepping in for them. What’s wrong here? On the surface, it seems like it should be obvious: you support someone, and they should show appreciation and gratitude. But people don’t always respond the way we expect them to. Sometimes, even with the best of intentions, we make a mistake or overstep in a relationship. When we make an offer that isn’t received like we hope, we may feel humiliated, awkward, and unsure of ourselves. Sometimes, the problem is that we’ve fallen into a particular role that can have a particular effect: the White Knight Effect. According to UrbanDictionary.com, the phrase “white knighting” is most commonly associated with online discussion forum behaviors, anti-feminism rhetoric, and/or social manipulation designed to make oneself appear more virtuous than one really is. In the context of this article, the closest parallel is that of forum activity. In the murky world of online chat rooms, community forums, and posting boards, “white knighting” refers to a third party jumping in to defend someone in an online argument. 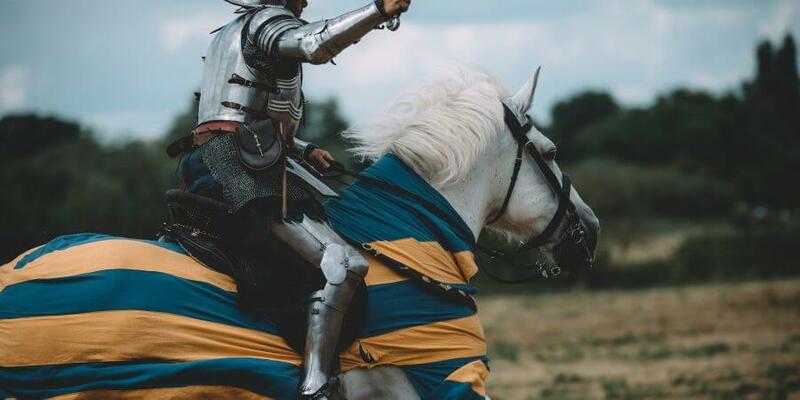 The white knight often does so without fully understanding the context of the disagreement, and generally without the request or desire for such aid from either of the original parties. In real-life relationships, white knighting may look more like trying to defend your partner when her abusive mother starts gaslighting, belittling, or putting her down. You may try to defend her by telling her mother to back off and leave her alone, or by later (in private) telling your partner how wrong it was for her mother to say those things. Your intentions are good – you know what it feels like to be verbally abused, and you would have given anything to have someone tell you the other person was in the wrong. But when you speak up, your partner gets angry. She says you’re out of line, and that you are making her choose between you and her mother. What’s going on here? If your partner is not ready to acknowledge abusive behavior as abusive, your intercession may feel less like support than interference. For you, the abuse survivor who has already been through the painful process of really seeing things clearly for the first time, it seems obvious. But remember, there was probably a time in your life when you accepted abusive behavior as normal. When you would have defended your toxic loved one to anyone who criticized them, because you were conditioned to view that relationship as loving. Or because you were afraid of what you would see if you looked at it too closely. We may become a white knight out of a genuine desire to help. We may also have an ulterior motive of wanting to be viewed as an ally, a supportive friend, or a defender. When there’s an ulterior motive, we may hope for some kind of recognition of ourselves as an ally, a defender, or a Good Person. When you feel compelled to step in and defend someone who doesn’t seem to want to defend themselves, ask yourself this: why am I doing this? This is not an accusation, but an invitation to be curious about what motivates you to step in as a white knight. What parts of you need to step in and take up sword and shield for someone who doesn’t seem ready or willing to do so for themselves? What are you hoping will happen if you do? How will you feel if they don’t react to you with appreciation and gratitude? “But Amy,” you say, “what if they need someone to speak up for them to realize they can do so for themselves? Should I just leave them to be berated and cut down without saying anything?” No, you don’t have to simply watch someone get beaten down and walk away with your hands in your pockets. But you also don’t need to be their white knight in order to be a supportive and caring loved one. You get the idea – ask the other person what would feel supportive for them. And resist the urge to correct them if their response doesn’t align with how you’d like to support them. If you ask and then correct or ignore their response, you supersede their right, privilege, and responsibility to make decisions about their own relationships. Even with the kindest and most loving of intentions, this is not support. Seeing someone else suffer abuse without speaking up for themselves may push your buttons. It may remind you of your own painful memories. Be mindful of your triggers, because they may influence how you support your loved ones more than you expect. Take a step back and invite curiosity toward the parts of you that want to be someone’s white knight. Gentle, compassionate curiosity can help shed light on the why’s and what if’s that guide your decisions to intercede or not. Maybe you have a part that is angry with you for suffering abuse for so long instead of speaking up sooner. Send yourself grace and forgiveness for not being ready sooner. Or perhaps you have a part that feels rejected when someone doesn’t want you to defend them. Honor your good intentions while reminding yourself that we all have the right to make our own choices. Maybe part of you is angry with the other person for being blind to the narcissism you see so clearly. If that is so, remember that you were once blind, too. And remember that you can forgive yourself for being blind. When you were ready – when they are ready – you can see what is really there. But no one can be ready until they are. Now how’s that for some Jedi wisdom?